For a personalized copy, contact Main Street Book Warehouse in Vancouver. Book review in Chinese language women's online publication. March 16, 2014 Providence Journal. 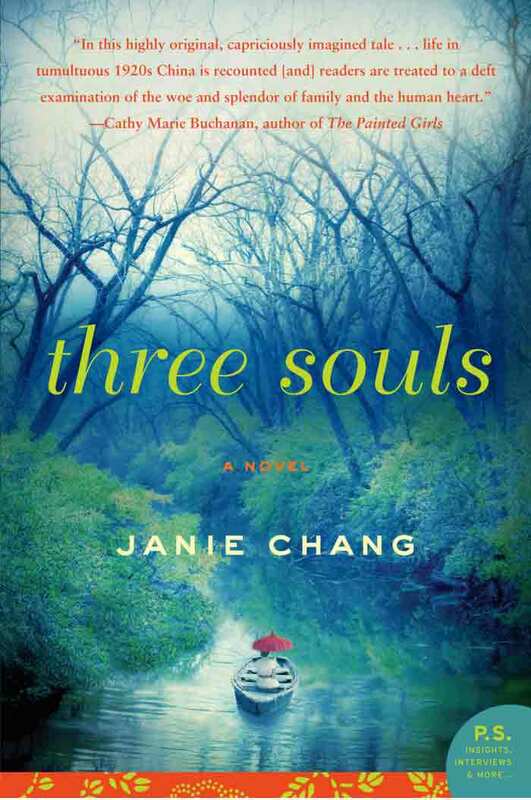 "Too many novels today lack a sense of sweeping time ... creating a world so vivid you didn’t want to see it end ... Chang’s debut novel, “Three Souls,” is a delightful exception ... (she) skillfully weaves China’s story with the fate of her characters, giving the novel a tone of importance that never becomes dull or pedantic." Feb. 2014, Issue 67 Historical Novels Review. Editors' Choice. "A remarkable, exquisite work of historical fiction ... highly recommended as a wonderful read and an experience of creative, brilliant writing." Feb. 2014 IO9 All the SF and Fantasy Books You Can't Miss in February! Nice of IO9 to spot the cross-genre content of Three Souls! Oct. 11, 2013 Toronto Star. Recent Books of Note. Aug. 30, 2013 Winnipeg Free Press. Enjoyable tale of scandal, ambition.